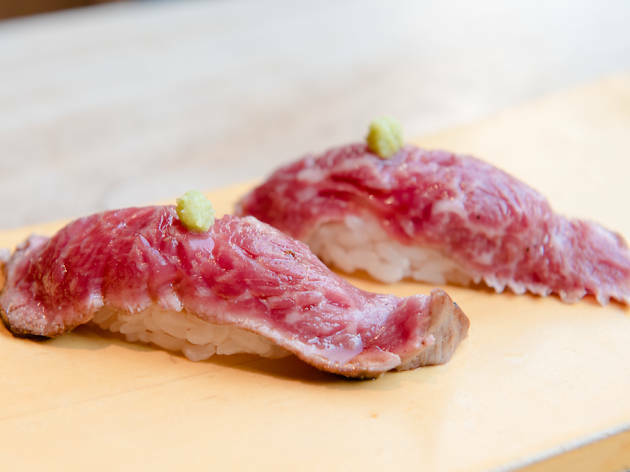 If you’re looking to have a wagyu feast without breaking the bank, head straight for Dogenzaka’s Sagoemon, a casual kushiyaki izakaya popular enough to make reservations essential. Skewers here go for ¥80-130, appetisers for ¥400-700, and the always impressive kuroge wagyu flame-grilled sirloin nigiri for ¥300 a pair. 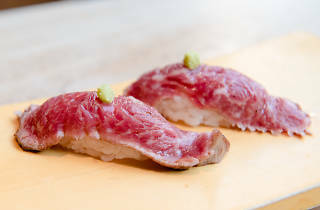 And the prices aren’t the only attraction, either: Sagoemon’s beef is of the juicy, thick and flavourful kind. Weekday lunch sets are available from ¥500 – a real steal in this area.